This weekend was ridiculous! I’ve got clean teeth, a healthy,a rabies-free Harley, eggplants in the garden, sunburn on my shoulders, laundry that STILL hasn’t been put away, fresh bread crumbs in the fridge, vanilla extract that needs to be made, and a baby goat coming home next weekend. I’m exhausted. But that’s not to say exhilarated. “Take it easy,” Nick says. He knows me … I’ve been sick for too long. Rumor has it – that the weekEND is for resting, but after being cooped up for so long – there is NOTHING more satisfying than hopping up into Nick’s truck, letting my hair down, and riding around. It was nice to be able to finally dig out in the garden (thanks to the wonderful ladies at Penny’s Petals). I like the way the earthworms feel on my skin. 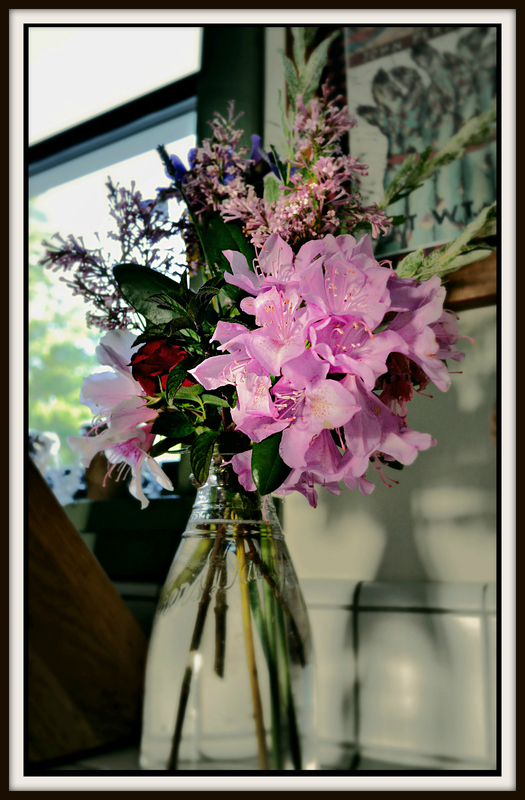 I was even able to make a little bouquet with some of our perennials! 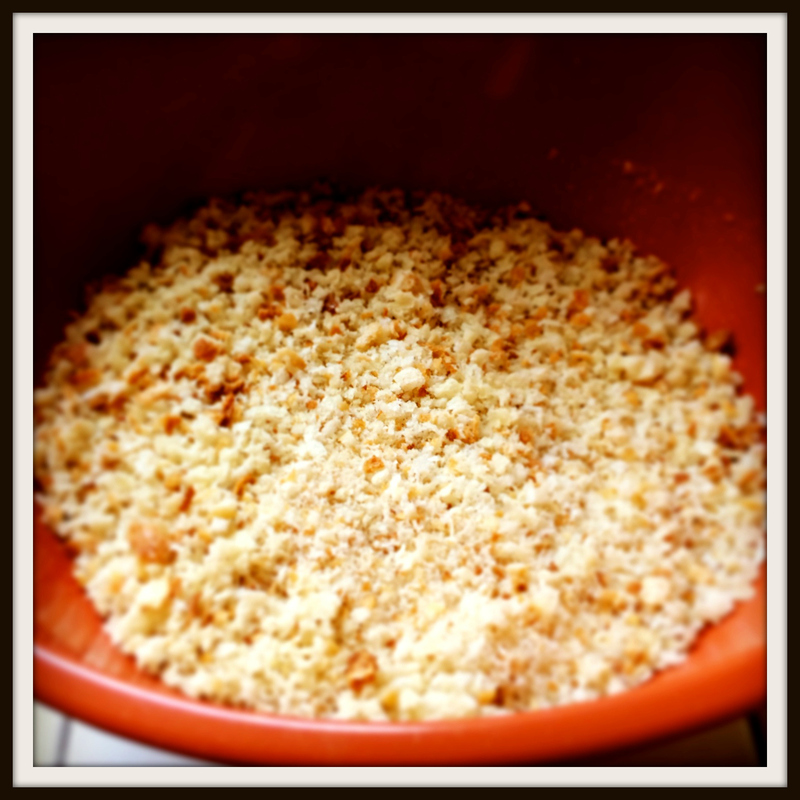 A busy weekend – also calls for some homemade bread crumbs. We’ve had so many hastily bought loaves of bread and I hadn’t the heart to throw them all away. 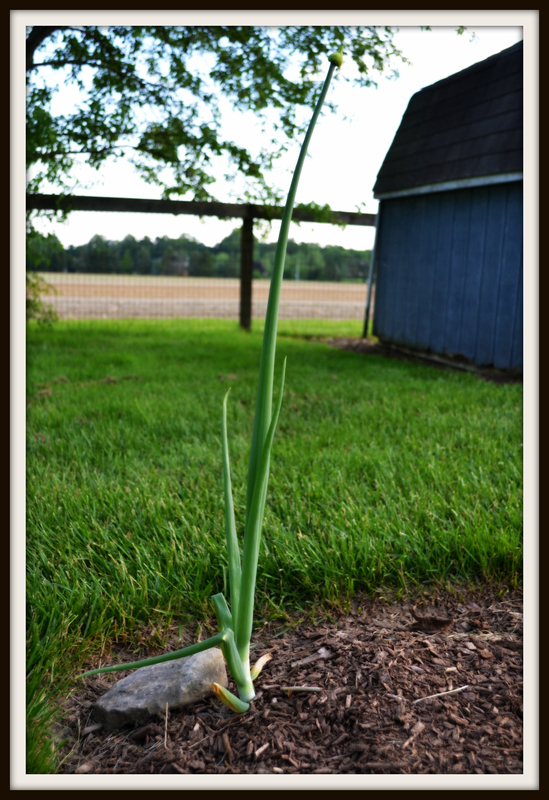 AND of course … no weekend would be complete – without finally discovering what may be – our perfect onion so far ….